Xexec, a leading UK/US supplier of employee discount portals, reward and recognition programmes, and customer loyalty schemes has ranked 113 in the 2018 Sunday Times HSBC International Track 200. The Sunday Times HSBC International Track 200 ranks Britain’s mid-market private companies with the fastest-growing international sales, measured over their latest two years. 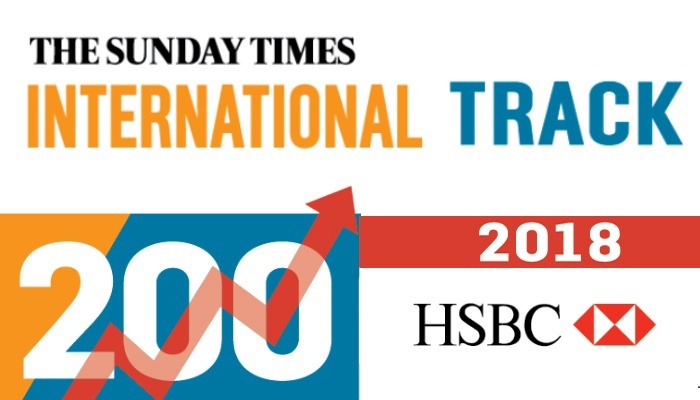 It is the fourth year in a row that Xexec has featured in the Sunday Times HSBC International Track 200. Learn more about The Sunday Times HSBC International Track 200 – including what it is and how it is calculated - here. If you want to learn more about how Xexec can help your organisation drive employee engagement, motivation, and retention with its employee discount software and reward and recognition platform speak to an engagement consultant today.